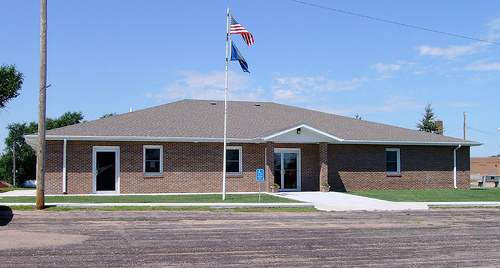 Growing up in rural McPherson County, we had to go to Tryon for all of the official business - paying taxes, registering vehicles, taking school pictures, etc. I remember the courthouse as being a hugely imposing building. The following was taken from the December 21, 1983 North Platte Telegraph. 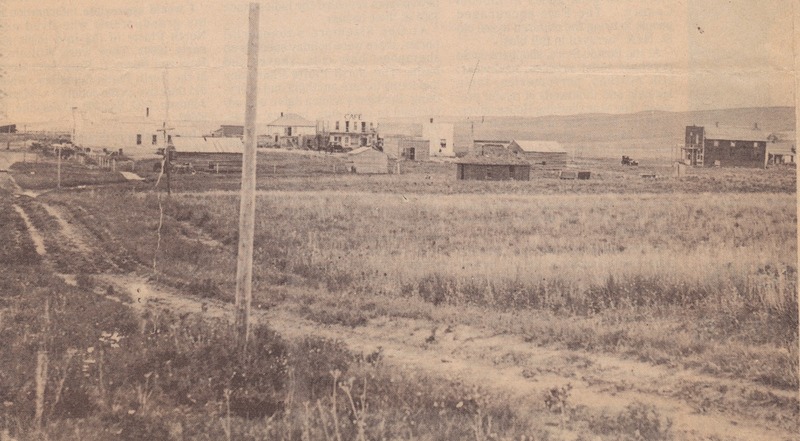 The clipping was found in the McPherson County history book. It is written by Maudene Sowders and Sharron Hollen. trail road in the foreground is now Highway 97. Tryon became, by 1895, the site of two buildings: a courthouse and a house for the County Treasurer. Other buildings might have sprung up sooner had it not been for the versatility of the courthouse. The sod building also served as a home for the county clerk, a community social hall, a dance hall when the occasion arose and a house of prayer when an itinerant preacher would pass that way. One of the first actions taken by the newly appointed McPherson County Commissioners - Heber Newberry, William E. Wisner and Henry Brown - was to make provisions for safekeeping county records. in a corner of the sod building they erected a brick vault and installed a steel door and safe. With the purchase of record books they declared county government to be officially in operation. 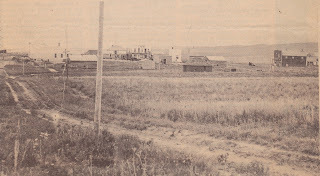 By 1910 Tryon had become a bustling frontier town with a population of 2,470. The growing pains prompted progressive citizens to call for a more modern courthouse and in 1916 a $4,000 bond issue for construction of a new building was placed before the voters. They turned it down. McPherson County Courthouse, circa about 1983. In 1920, the county board, finding it increasingly difficult to conduct business in the sod building, announced a five mill levy to build a new courthouse. Construction started but there wasn't enough funds to complete the work. Voters were asked to finance a bond issue to install a heating system and furnish the building. That bond issue carried, only to hit another snag. The election procedure was found to be illegal because notice of the election had not been properly advertised. The process was repeated, passing with only 10 dissenting votes. In 1926, Tryon, county seat of McPherson County, held dedication ceremonies for the new two story brick structure that serves to this day (1983) as the county's courthouse. The vault door, considered so important by the 1890-era county commissioners is also in use. It is in the McPherson County Superintendent of School's office. The steel safe, originally installed inside the soddy's brick vault, is now in the county sheriff's office on the lower level of the building.